Last month, deputies from the Harris County Sheriff’s Office responded to an accident scene in Spring, Texas. Sadly, when they arrived they found a female victim deceased in the middle of the road. After investigating the scene, authorities determined the woman was struck by at least three vehicles, all of which fled the scene of the accident. Fleeing the scene of an accident isn’t just wrong, it’s illegal and these drivers need to be held responsible. 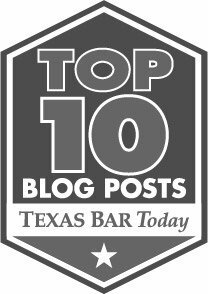 In the State of Texas, parties involved in a motor vehicle accident are required to stop and stay on the scene if the accident has caused an injury or property damage. Drivers who flee the scene of an accident can be charged with a misdemeanor or felony, depending upon the severity of the accident. Drivers who flee the scene of a car accident where serious bodily injury or a death has occurred can be sentenced to up to 10 years in prison. Unfortunately, these criminal penalties for hit and run drivers do nothing to help compensate the victim. In order for the victim of a hit and run accident to obtain compensation, he or she will have to file a personal injury lawsuit, which can be difficult because the guilty party left the accident scene. Victims of hit and run accidents will need to partner with experienced hit and run attorneys who will be able to conduct an investigation to identify the fleeing party. A hit and run attorney will investigate the scene of the accident and the surrounding neighborhood. Oftentimes convenience stores and other businesses have surveillance cameras that contain footage of the accident. An attorney can then work with police as they file criminal charges and ensure the victim’s best interests are being protected. After a car accident, victims need to be able to focus on getting better. When you work with Blizzard & Nabers LLP, we take care of investigating and pursuing your personal injury claim so you can concentrate on recovering. We offer free consultations and there is no upfront cost for working with us. Call us today to schedule a consultation to discuss your case. Previous Post Does Tamiflu Have Dangerous Side Effects?